Since President Ahmadinejad's inauguration in 2005, Iran's foreign policy focus shifted from Africa to Latin America in order, as he put it, to "counter lasso" the U.S.. This change accelerated after Ahmadinejad's 2007 visits to Venezuela, Nicaragua, Ecuador and Bolivia and the International Conference on Latin America held in Tehran in February 2007, where Iran's Foreign Minister, Mehdi Mostafavi, announced the opening of embassies in Chile, Colombia, Ecuador, Nicaragua, and Uruguay and a representative office in Bolivia. Iran reportedly has 36 Shi’a cultural centers in 17 countries throughout the region. In January 2012, Iran also launched a Spanish-language satellite TV network as part of its ideological battle to counter West’s “hegemony”. This strategy seemed to be driven by the opportunity Venezuela’s President Hugo Chavez gave Iran to serve as a gateway to the region and build an anti-American axis with Venezuela and its "Bolivarian" allies in the backyard of the United States. In recent years, Iran’s relations have grown with Bolivia under President Evo Morales, with Ecuador under President Rafael Correa, and with Nicaragua under President Daniel Ortega. While Iran has promised assistance and investment to these countries, observers maintain that there is little evidence that such promises have been fulfilled. 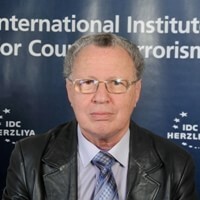 According to Ilan Berman, vice president of the American Foreign Policy Council, 2012 can be said to have been the "high water" mark for Iran's presence in Latin America, and its activities have become more modest in the aftermath of Ahmadinejad’s departure from office and the death of Chávez in 2013. He warns however that “Bolivia's recently-announced quest for a nuclear capability, Ecuador's attempts to ascend to the leadership of the ALBA bloc, and the controversial peace process now underway in Colombia,” could provide opportunities for Iran to expand its regional influence in the years ahead. According to an U.S. Congressional Research Service Report, many analysts contend that Iranian President Hassan Rouhani, who took office in August 2013, has not placed priority on relations with Latin America. As a consequence, Iran’s already limited trade with the region has been declining, and Rouhani did not attend the summit of the Group of 77 (G77) developing countries held in Bolivia in June 2014 as reportedly planned. This evaluation is refuted by Rouhani’s February 2014 statement that he will deepen Iran’s existing relations with Latin America. Rouhani’s task in improving relations with Latin American states, albeit in a less politicized mode, is facilitated by his overtures to the West in the hope to achieve a good deal for Iran in the negotiations on the nuclear file, his personal image as a “moderate” politician and Iran’s recent status as Chair of the Non-Aligned Movement (NAM). It is of note that the 17th Summit of the Non Aligned Movement is to be held in Caracas, Venezuela, in 2015. In March 2014 a delegation of three Iranian parliamentarians, headed by Chairman of the National Security and Foreign Policy Commission Alaeddin Boroujerdi visited Cuba and Venezuela. Boroujerdi, in a meeting with ALBA ambassadors in Tehran, laid emphasis on the deepening of relations with Latin nations, and called for holding a joint meeting of the parliamentary foreign policy commissions of ALBA members in Bolivia. The Cuban Ambassador, for his part, underlined strengthening relations between Iran and the ALBA grouping and said "ALBA is willing to have cooperation with Iran in resolving the Syrian crisis through political means." A delegation of Iranian lawmakers visited Ecuador and Colombia in May in order to check the state of the relationship with the visited states. At the beginning of June a parliamentary delegation from Latin American countries visited Tehran. Iran’s Deputy Foreign Minister Morteza Sarmadi told the lawmakers from Bolivia, Cuba, Ecuador, Venezuela, Nicaragua, Argentina and Brazil that “cruel sanctions against the nations are morally and practically doomed to failure” and underlined that parliamentary ties between the nations have a high value for Iran. Rouhani’s government used the participation of Vice-President Eshaq Jahangiri at the G77 Summit in Santa Cruz, Bolivia, in mid-June 2014, to meet leaders of Latin America and mainly those of the ALBA states in order to advance the bilateral cooperation with them. The Iranian media, IRNA, Press TV and Hispan TV (in Spanish), gave large coverage to these high level political contacts. Venezuela remains Iran’s favorite partner on the continent. On August 4, 2014, President Rouhani said that for Iran strategic relations with all the independent Latin American states that are resisting U.S. hegemony is of high significance. Rouhani made the remarks in a meeting with Venezuelan Foreign Minister Elías José Jaua Milano on the sidelines of the Tehran NAM emergency meeting on Gaza. Lauding Venezuela’s very good stance on regional issues like Palestine, Syria and Iraq Rouhani said that the decision by late Venezuelan president Hugo Chavez to cut off ties with the Zionist regime was “very valuable” and Iran “is happy” that President Nicolas Maduro will continue with the path of Chavez. Milano, for his part, said Venezuela supports any initiative by the Islamic Republic on regional issues and referring to the Tehran-Caracas joint economic commission scheduled to be held in September, he hoped for further expansion of mutual cooperation. The Venezuelan Ambassador to Tehran declared in June 2014 that Caracas is ready to become “a hub for export of Iranian technology to other Latin American states” in order to circumvent the United States' extensive sanctions against the Islamic Republic. Vice-President Jahangiri termed Venezuela as a good ally for Iran and expressed hope that all agreements already signed between the two countries would be implemented. However, the relationship doesn’t seem to be as fruitful as the politicians claim. In May 2014 it was reported that one of the key fields of cooperation, the oil industry, came to a stop when the offices of the Iranian National Oil (NIOC) in Venezuela, and Bolivia, another Iranian strong ally on the continent, were closed. Mexico has become a priority target in Iran’s strategy in Latin America, probably because of its closeness to the United States. In a meeting with the new Mexican Ambassador to Tehran in February 2014 Rouhani expressed Iran’s determination to expand economic and cultural relations between the two states and set the ground for more political negotiations. An Iranian parliamentary delegation led by Alaeddin Boroujerdi is planned to visit Mexico in the near future to discuss economic and political issues. As part of the celebrations for the 50th anniversary of the establishment of diplomatic relations between Mexico and Iran, a delegation of government officials and representatives of Mexican private companies, headed by Undersecretary of Foreign Affairs Carlos de Icaza, paid a visit to Iran in September. “We consider Iran one of the most important actors in the Middle East and that is why we want to maintain constant meetings with Persian authorities,” said Icaza. Iranian Chancellor Mohammad Zarif outlined that Iran could provide to Mexico trade exchanges with central Asian countries. In 2012, bilateral trade between both countries was worth US$133 million, the highest ever registered; however, last year if fell to US$20 million. Former Iranian Ambassador to Mexico Mohammad Rouhisefat underlined that "Mexico can be a good export gate for Iran's goods to the U.S.” He pointed to a memorandum of understanding (MoU) signed between the two countries during the recent visit of the Mexican deputy foreign minister to Iran and the formation of a joint economic commissions as a means to expand economic and trade ties. Bolivia is one of the two closest allies of Iran in the continent, after Venezuela. Upon his investiture President Rouhaní sent a letter to President Evo Morales expressing his desire for the continuation of the close relations between the two countries. Since the establishment of diplomatic relations in 2007, La Paz and Tehran signed three MoUs and an agreement on medium and long term commercial and energy projects for a value of 1,1 bn.$. Iran expressed its intention to exploit lithium at the major mineral reserve Salar de Uyuni. According to a report made by the Bolivian presidency in June, Iran granted a loan of $200 million for areas such as medicine, pharmacy and telecommunications. During his visit to Bolivia in January 2014 Deputy Foreign Minister for Euro-American Affairs Majid Takht-e Ravanchi invited Morales to visit Tehran. Before flying to Bolivia, a country highly interested in developing nuclear energy, Ravanchi declared that nuclear issues were also on his agenda. It was on this occasion the two sides decided to promote a common Summit of the G77 + China, chaired by Bolivia and NAM, chaired by Iran, to be held in Santa Cruz, Bolivia, on 14-15 June. Bolivia’s Parliament President Marcelo Elio Chávez visited Tehran in June and met the Majlis President Ali Larijiani in the framework of the “Friends of Syria Conference” created to support the beleaguered ally of Iran, Syrian Bashar al-Assad, before the upcoming presidential elections. On May 15, 2014, an Argentine federal court declared unconstitutional an agreement with Iran that had been reached in January 2013 to jointly investigate the 1994 bombing of the Argentine-Israeli Mutual Association (AMIA) building in Buenos Aires. The bombing killed 85 people and has been linked to Iran and Hezbollah. The opposition argued that allowing Iran to be a part of the investigation, when Iran itself is suspected of being behind the attack, was ludicrous. The government of President Cristina Fernández de Kirchner maintained that it would appeal the ruling to Argentina’s Supreme Court. In June Cristina Kirschner travelled to Bolivia to attend the G77 + China Summit and some expected her to at least cross paths with Vice-President Eshaq Jahangiri, which was going to be awkward because Iran never officially approved the infamous MoU to investigate the AMIA bombing. Iranian officials at the Summit admitted that the agreement process didn't advance in the Majlis and the Argentinian federal court May decision to declare the MoU unconstitutional practically froze the process. The Argentinian government protested the lack of cooperation of the Iranian regime as the document signed by former president Mahmoud Ahmadinejad encountered low enthusiasm in the Majlis. Argentinian officials declared that there is no planned meeting between the leaders of the two countries at the Summit and it seems indeed that Cristina Kirschner did not meet Jahangiri. The last message sent by Kirchner to Iran in March this year, when she opened the ordinary session of the Congress and admitted that the agreement was "stagnant" and asked the opposition to propose other alternatives that could advance the AMIA case. In a meeting on the sidelines of the G77 Summit in Santa Cruz, Iran’s Vice-President Jahangiri and Uruguay’s President José Alberto Pepe Mujica Cordano exchanged views over the latest regional and international developments, and explored new avenues for reinvigorating bilateral cooperation. In its 2013 terrorism report, the State Department maintained that “there were credible reports that Venezuela maintained a permissive environment that allowed for support of activities that benefited known terrorist groups” and that individuals linked to Hezbollah supporters, were present in Venezuela. The United States has imposed various sanctions on Venezuelan individuals and companies for supporting Iran and Hezbollah. Some critics maintain that the State Department is playing down the threat posed by Iranian activities in the region, while others maintain that Iranian activities in the region, while a concern, are being exaggerated. The State Department maintains that there are no known operational cells of either Hezbollah-related groups or Al-Qaeda in the hemisphere, although it notes that ideological sympathizers continue to provide financial and ideological support to these and other terrorist groups in the Middle East. Since January 2012 a worldwide campaign of some 30 terrorist foiled and failed attacks against mainly Israeli but also Western targets took place from Thailand and Georgia to Cyprus, Nigeria or South Africa, involving Iranian, Lebanese and local citizens. On July 18, 2012 Hezbollah staged a “successful” attack in Burgas, Bulgaria, killing five Israeli tourists and a Bulgarian citizen and wounding some 30 Israelis. The Iranian/Hezbollah attacks took place in “soft countries” in Asia and Africa, countries where the intelligence and law enforcement agencies are not sufficiently trained to challenge this kind of threat and where the Iranian/Hezbollah activities are low priority for the local security agencies. Iran’s fingerprints are obvious and clumsy and imply that Tehran is not worried to be exposed killing innocent citizens of these countries, harming their tourist industry and provoking a global terrorist environment. The arrest of Hezbollah terrorist operatives in so many countries, including Cyprus, which hold at the time E.U. 's rotating presidency, did not convince immediately the E.U. that Hezbollah is a terrorist organization, because of lack of consensus and “because Hezbollah also has an active political arm in the Lebanese government.” Only on July 22, 2014, in a policy shift that reflected their concern about Hezbollah’s suspected involvement in Europe-based bombings and its growing role in the Syria war did the European Union blacklist the military wing of Hezbollah. Rouhani’s government has changed the style but not the basic goals of Iran’s foreign policy in Latin America: to secure alliances with the continent’s states, using the already strong anti-U.S. ALBA regimes, to mitigate its international isolation and circumvent the biting economic sanctions and in the process to hurt America’s interests in its backyard. This policy is greatly assisted by Iran’s chairmanship of the NAM and Bolivia’s chair of the G77, which strengthen its international legitimacy. 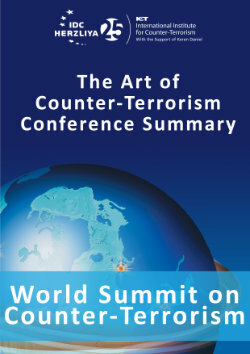 As for the terrorist threat, Iran and Hezbollah continue to plan and stage terrorist attacks worldwide, albeit more cautiously because of the sensitivity of the ongoing nuclear negotiations, with preference in countries which have little experience about their modus operandi and which, they evaluate, will act leniently against their operatives and agents, due to diplomatic pressure and possibly threats of retaliation. Historical experience and recent operations tells us that Latin America is not immune to the threat. Mark P. Sullivan and June S. Beittel, “Latin America: Terrorism Issues,” Congressional Research Service Report, August 15, 2014. Ilan Berman, “A Post-America South America,” inFocus Quarterly, Vol. VIII, No. 3, Summer 2014. Sullivan and Beittel, Latin America: Terrorism Issues. IRIB World Service, “Iran Firm to Boost Ties With Latin America: President Rouhani,” February 10, 2014, at http://english.irib.ir/news/iran1/item/178359-iran-firm-to-boost-ties-with-latin-america-president-rouhani. Trita Parsi, “Pivot to Persia,” Foreign Policy, June 16, 2014. Tasnim News Agency, March 3, 2014. Tasnim News Agency, June 9, 2014. Cochabamba, Los Tiempos, May 22, 2014. IRIB English Radio, February 10, 2014. The Iran Project website, July 31, 2014 at http://theiranproject.com/blog/2014/07/31/iranian-parliamentary-delegation-to-visit-mexico-top-mp/. Institute of American Studies website, 15 September 2014 at http://www.asipress.ir/vdcgxn9u.ak9ut4j5ra.html. La Razón Digital, August 29, 2013. Los Andes, June 15, 2014. La Nacion, June 11, 2014.